1965 - 1969: 1000km At The Nurburgring 1966. Jack Brabham In His Brabham Repco. 1000km At The Nurburgring 1966. Jack Brabham In His Brabham Repco. 1000Km at the Nurburgring 1966. 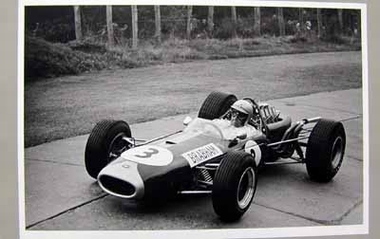 Jack Brabham in his Brabham Repco. Motorsport Classic. Photograpy by Rainer W. Schlegelmilch. The Nurburgring in the Sixties. Photograph taken by Rainer W. Schlegelmilch. 1000km At The Nürburgring 1969. Piers Courage Brabham Bt 26a. Do you have a question concerning our product '1000km At The Nurburgring 1966. Jack Brabham In His Brabham Repco.' ?